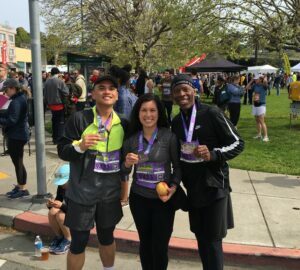 On Sunday, March 24th, Cristo Rey participated in the 10th Annual Oakland Running Festival. An estimated 10,000 runners participated in this year’s event that added a new twist to the run: the Bay Bridge. 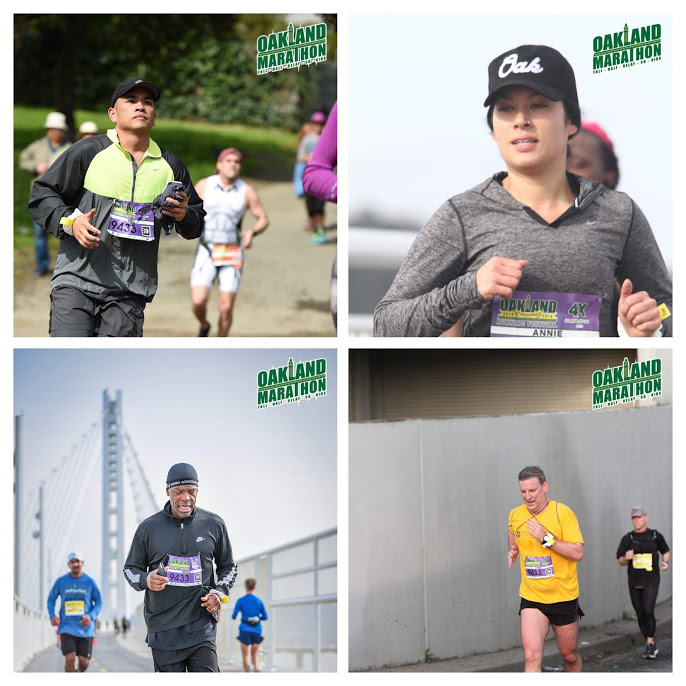 Our own Corporate Work Study and Mission Advancement departments put together a 4-person relay team to tackle the 26.2 mile marathon (and the Bay Bridge). Shout out to the Cristo Rey Staff who ran (Annie, Neal, John, and Greg). Also a shout out to our own Student Associate, Daniel Torres Rosas who ran in the 5K portion of the marathon. Also, big THANK YOU to the student associates and their parents who volunteered at the marathon on Sunday passing out water, gatorade, snacks, and providing overall encouragement to all the runners who participated. Through our run efforts, we raised close to $6,700 for CRDLS! Way to go Team!